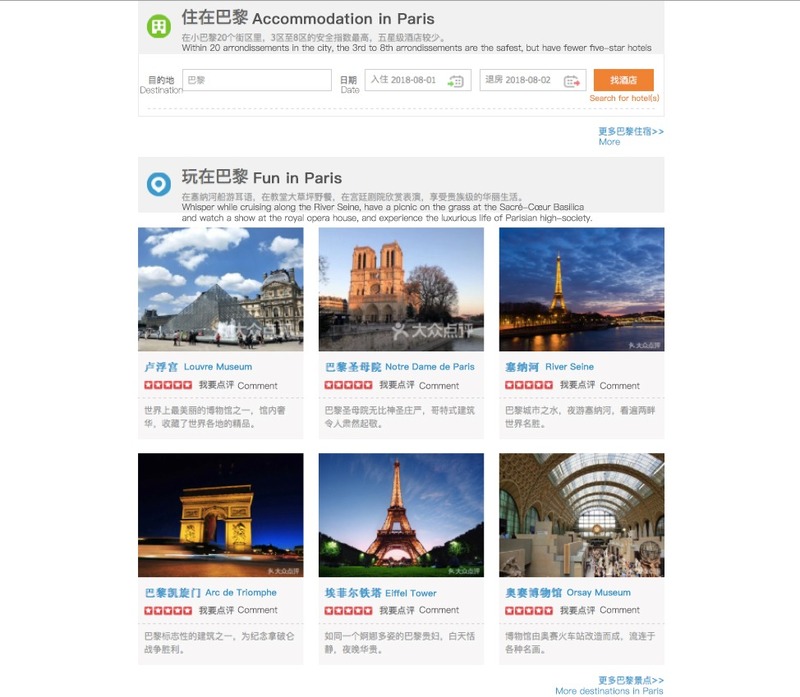 Dazhong Dianping: Get listed and attract more Chinese tourists to your business! As it was stated in our previous article, Chinese tourists are very easily influenced by the opinions of others. When traveling, they refer to their own “review and advice tools”, the king of which is Dazhong Dianping. Featuring similar functions to Yelp, it lists local retailers, restaurants, bars, cinemas, and other services. in China and abroad and it is the go-to tool for Chinese tourists. 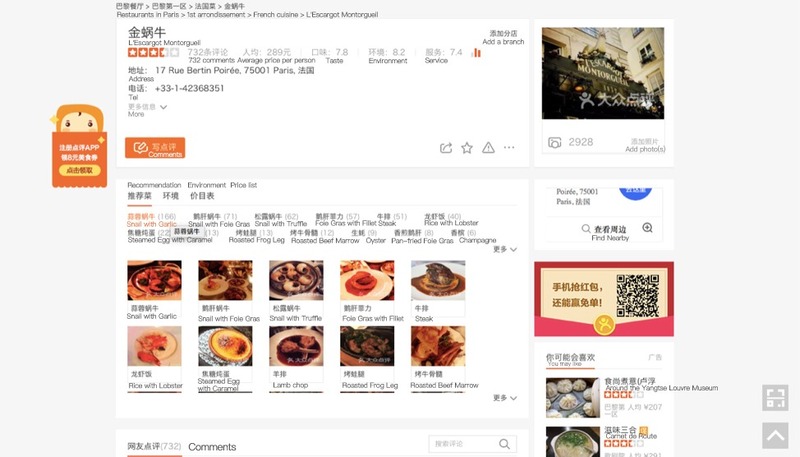 For example if a restaurant has a seemingly never-ending list of raving reviews on Dianping, the Chinese will flock there in their droves without any hesitation. 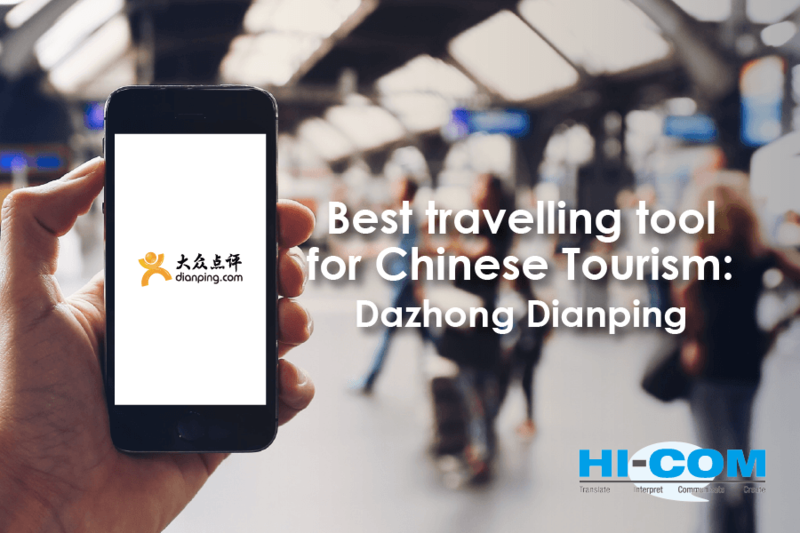 A proud host of more than 4.4 million merchants and 310 million of monthly active users, Dazhong Dianping or just Dianping is the most used travel advice App by Chinese tourists abroad. Now let’s look inside Dianping. After downloading the app you will find that it has no English version. Why would it? After all it is made for Chinese customers by Chinese IT wizards. But don’t worry, we are going to go through page by page explaining just what this app is all about. As stated at the beginning of this article – Dazhong Dianping is available to use outside of China. Let’s look at it from a Chinese tourist perspective. Slide one tells us that we have picked Paris as a destination of interest. 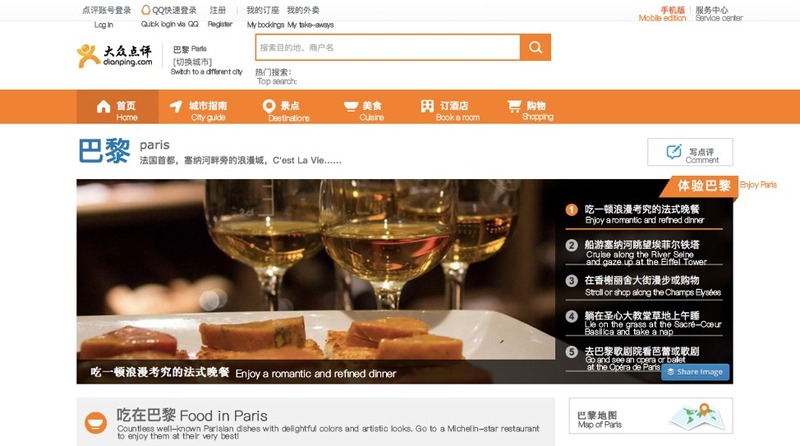 The main orange menu will provide options on sightseeing destinations, shopping spots, restaurants and hotels. One can also get a map and a city guide provided by Dianping. 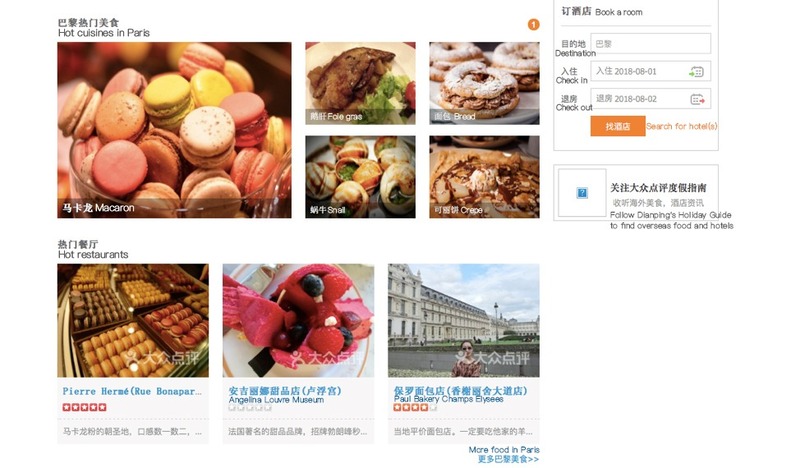 On the right side of the main banner, one can check the most popular experiences, or the experiences that might interest Chinese tourists, like cruising on the Seine, some shopping or even napping outdoors! 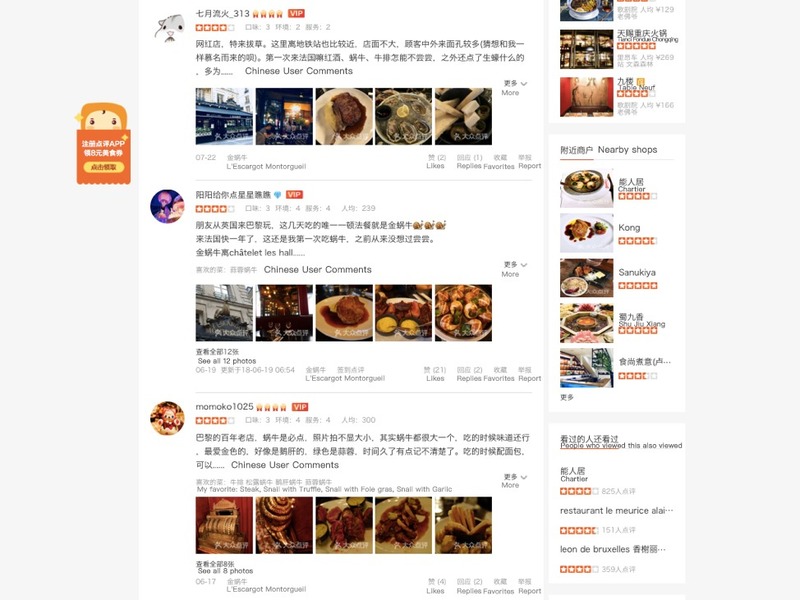 Scrolling down on the same page, Dianping will bring you to the hottest topic of Chinese culture – dining choices! Here we have all the typical French foods – foie gras, snails, macarons etc. Straight after you have the restaurant list. The top restaurants are the ones that been voted for by users of the app, as well as those that are just famous for other reasons. Right here you can also search for a hotel (menu on the right). Below that are a few fun options. So let’s click on one of the hot eating topics – Snails or L’escargot. 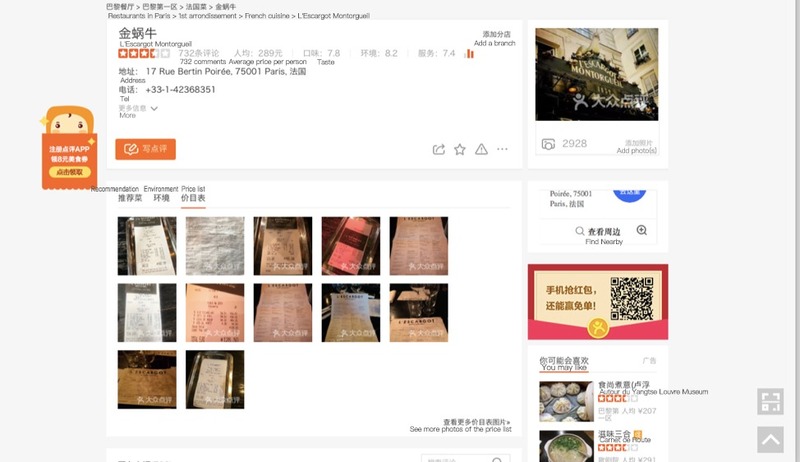 After the main description by Dianping writers, one can check all restaurants that serve snails, their rating (number of stars), and the first few words of the last visitor’s review. Of course, there is also a map. 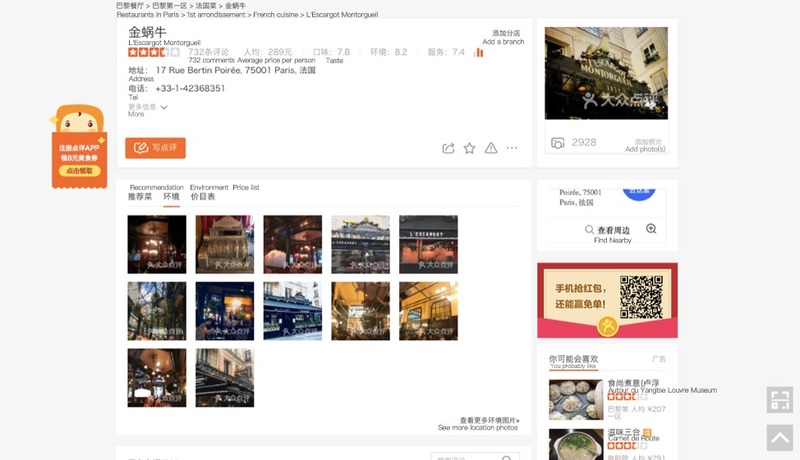 Want to know if Chinese tourists are already talking about your business online on Dianping? Ask us and we’ll check that out for you! So let’s go to the first restaurant and see how are they’re doing. 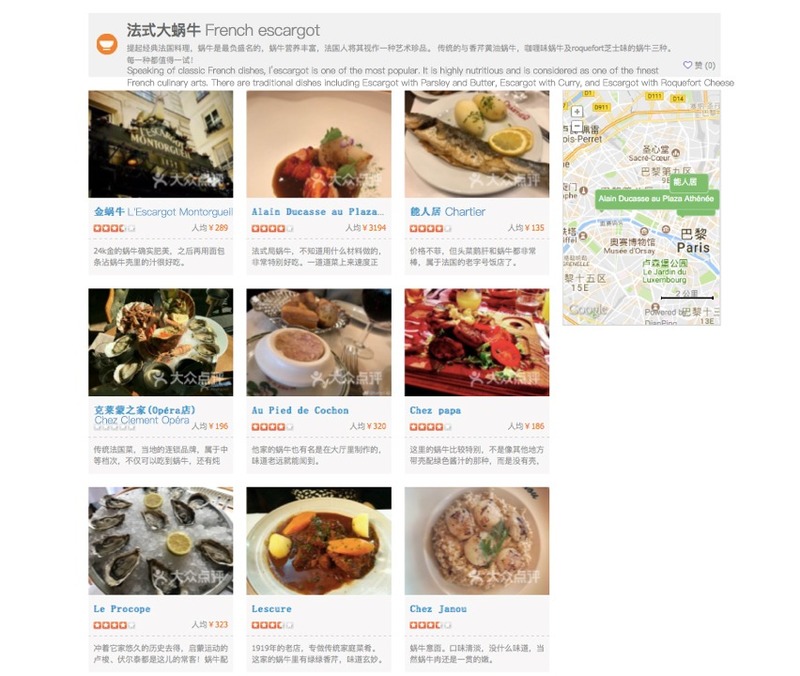 L’escargot Montorgueil has 732 comments, the average price per person is 289 RMB (37 Euro), the taste score is 7.8 out of 10, Environment 8.2 and Service is 7.4. These are the average numbers right next to the stars, and are calculated taking into account all voters. On the first page you can see the menu – and photos of the dishes taken by app users themselves, for anyone can add a photo and a review. This section also displays all the dishes most recommended by visitors. Next is the environment – one of the top criteria of any dining experience. In this case you can see the photos of the interior, and the view from outside. And last but not least – the bill! Yes, people talk about money openly in China, and will show exactly how much their dining experience cost. This section also serves as a preview of the menu. So that’s more or less it for the restaurant information, now it’s time to review and vote! In the section below we can see the visitor based experience overviews and photos. Anyone can react to the review (even a restaurant manager), click to “like” this review, add this advice to favorites or even report it. 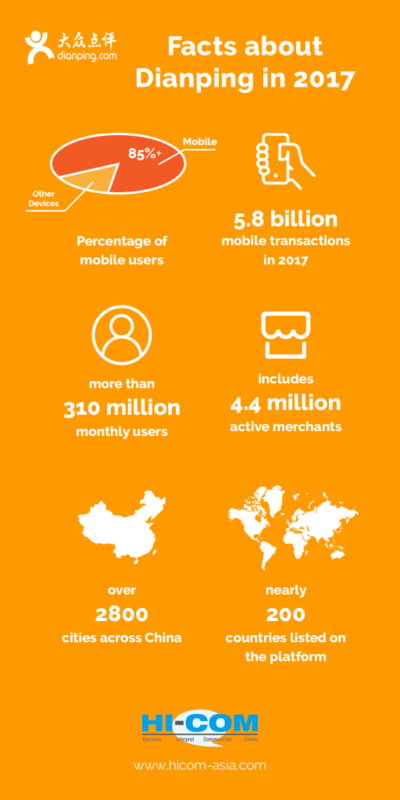 Respectability and trust is highly valued on Dianping, so the more Dianping is used by one person and the number of reviews grow, the higher the user’s rank in the app community will be. This is shown in diamonds, hearts or medals. So that’s it for the restaurants. For hotel reviews it is quite similar. In any case, being on Dianping will dramatically increase your business visibility and bring tons of curious people your way. 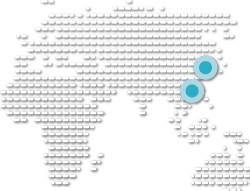 Ask us how can you start your journey on Dianping, install WeChat Pay or Alipay or anything else you found interesting on our blog! HI-COM is an international communication and localisation agency with over 10 years of experience in the Chinese market. With offices in Nice, Shanghai and Hong Kong, HI-COM serves its loyal customers in more than fifteen industries, including tourism, hospitality, e-commerce, and retail.